Warehouses and distribution centers typically have a high level of activity that makes it quite easy for intruders to slip in and out unnoticed. Recent statistics estimate that North America loses over $10 billion each year from such crimes. Canadian carriers handle losses and claims amounting to $1 billion annually. With fleet businesses rapidly expanding their businesses in recent years, operational control may become a bit of a challenge. Employees are, in turn, quick to identify any weaknesses in the company’s approach to security and may be enticed to use that information for their own benefit. Most fleet-related crimes occur within the carrier’s property, but these can be dramatically reduced by employing security officers. Security guards assigned to work in these facilities should have a good understanding of trucking, receiving, and shipping operations, as well as specialized security knowledge. Considering the special skills required for this position, guards should be trained and qualified for posts in fleet management businesses. Controlling vehicles entering and exiting the yard area. The security guard is expected to stop incoming traffic to confirm that the delivery is expected or legitimate, and then log vital details (company name, driver and vehicle details) before letting it in. A similar procedure is followed for outbound shipments. 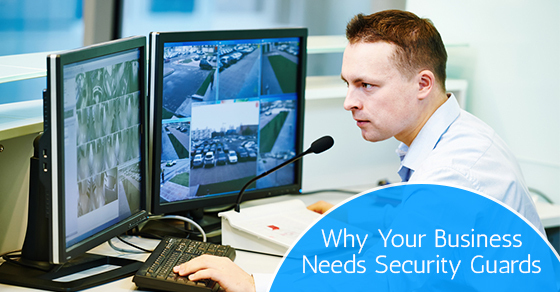 Generally, having security guards at your facility will ensure that all people accessing or exiting the property meet the conditions for entry, access to specific areas, or leaving, and there are no suspicious individuals roaming the property to reduce risks of theft.